You must be a member of the Buenos Aires Bicycle Enthusiasts Group to attend this activity. Would you like to join this group? 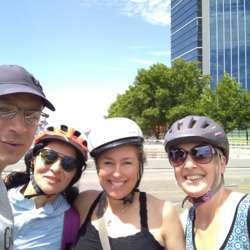 We will bike to the Protected content and join the Changemakers group for a walk at the reserve. For those who want, we will have dinner at one of the traditional pizzerias at Corrientes ave.
remember to bring chain and lock.